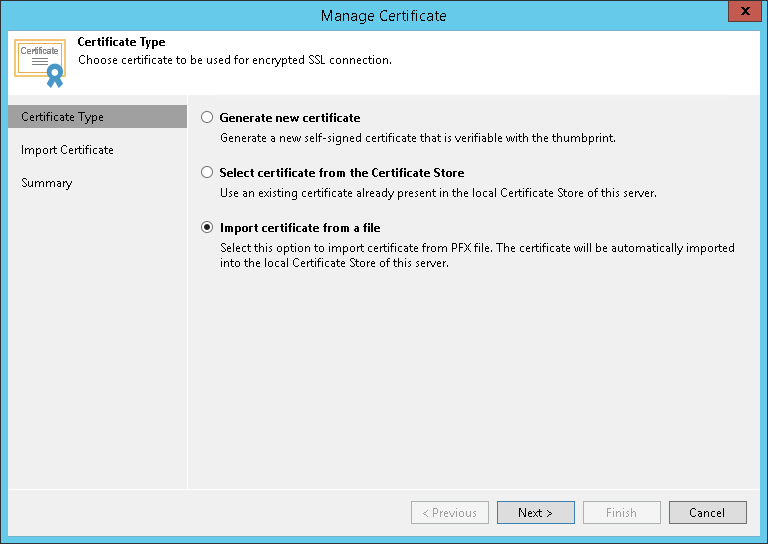 Your organization uses a TLS certificate signed by a CA and you have a copy of this certificate in a file of PFX format. You have generated a self-signed TLS certificate in the PFX format with a third-party tool and you want to import it to Veeam Backup & Replication. The TLS certificate must pass validation on the Veeam backup server. In the opposite case, you will not be able to import the TLS certificate. 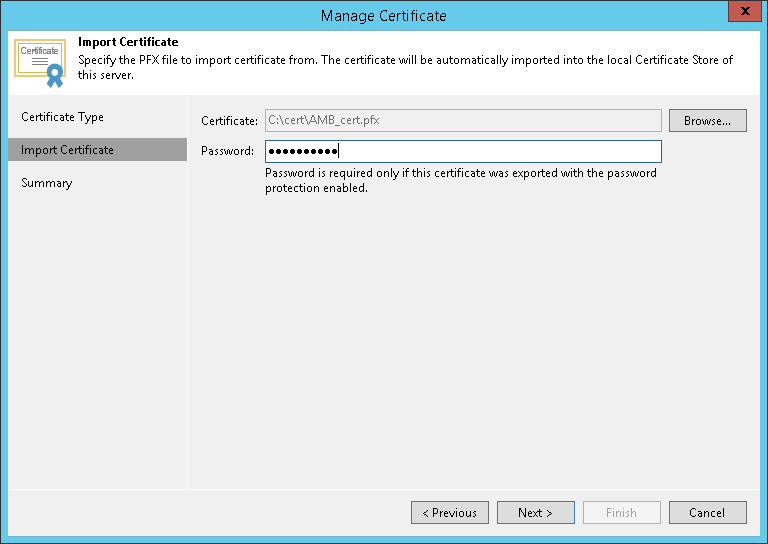 At the Certificate Type step of the wizard, choose Import certificate from a file. At the Import Certificate step of the wizard, specify a path to the PXF file. If the PFX file is protected with a password, specify the password in the field below. At the Summary step of the wizard, review the certificate properties. Use the Copy to clipboard link to copy and save information about the TLS certificate. You can use the copied information on a protected computer to verify the TLS certificate with the certificate thumbprint. Click Finish to apply the certificate.